Mary-Ann here, trying to inspire you during the hustle and bustle of the holiday season. 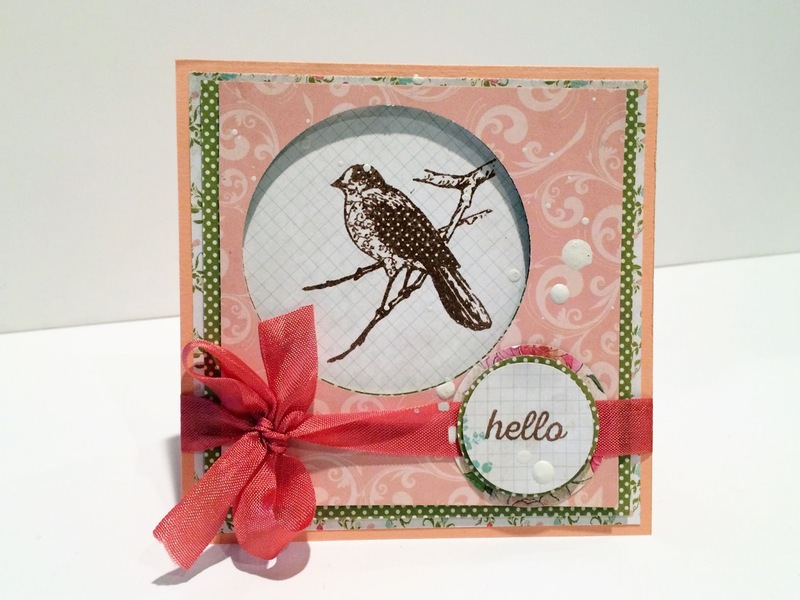 One great thing about his month's Creative Cafe KOTM - Take Flight, if you are in need of a relaxing day in the craft room, this kit will help you find a little bit of peace during such a hectic time. Todays card is created with two large circle punches. You can use what you have on hand. Maybe large Spellbinder circles, a glass traced with a pencil, or punches like myself. I started with a 5x10 pink card base folded in half to create a 5x5 card. I applied a 4 3/4 x 4 3/4 piece of floral to the top of the card base with Scrap Happy Glue. 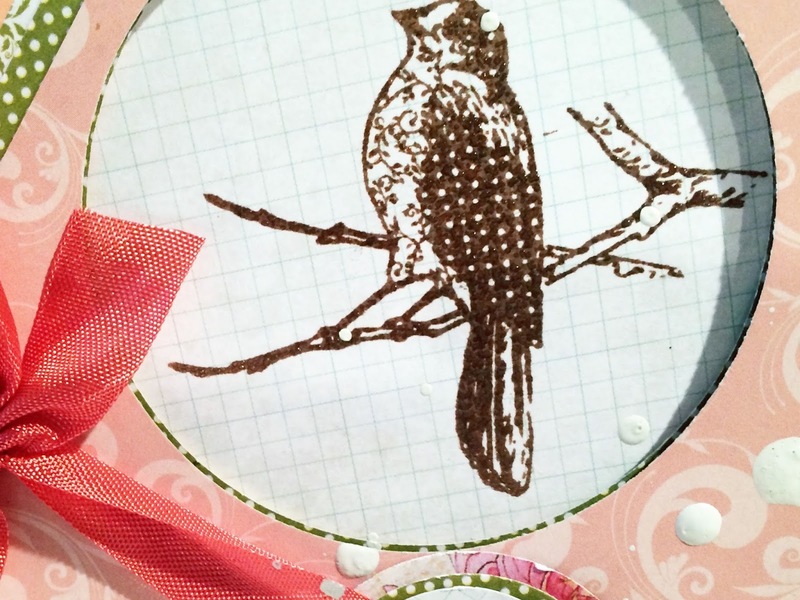 I then cut a green polka dot piece of the Carta Bella Paper 4 1/2 x 4 1/2, punched a 2 1/2 circle out of the top left. The next layer is the pink floral cut 4 1/4 x 4 1/4, I layered the green on top of it and cut the 2 1/2 circle again. I backed both of these with Kool Tac foam. Before adding them to the front of the card, I stamped the bird onto the check white paper from the paper pad with Versamark and used brown embossing powder and heat set it. I placed this behind the square layers with the circle punch. Now it looks like a frame. I tied pink ribbon around the bottom of the card with a bow to the left and layered small circle punched pieces of paper stamped with Hello to the right. I added white Dylusions. Thank you for stopping in today. See you next week.